WE ARE A FAMILY OWNED AND RUN BUSINESS, WE STRIVE TO BRING YOU THE HIGHEST QUALITY FEEDERS AND WE RAISE MOST OF OUR OWN FEEDERS HERE AT OUR BUG FARM IN FLORIDA, TO INSURE YOU ARE GETTING HEALTHY FEEDERS. 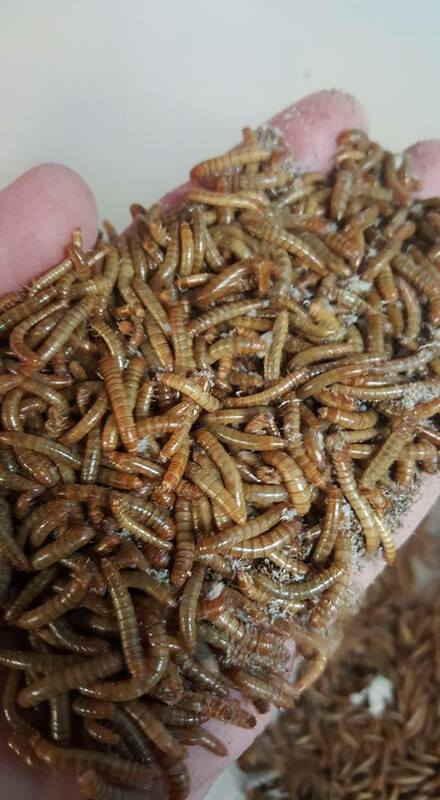 WE FEED ONLY PREMIUM FOOD TO MAKE SURE THAT YOU ARE GETTING THE BEST FEEDERS WE CAN PRODUCE :) . AND OUR FEEDERS ARE ALWAYS PACKED THE DAY THEY GO OUT TO INSURE THEY ARE FRESH WHEN THEY ARE SHIPPED TO YOU. YOUR $12.00 SHIPPING PRICE INCLUDES AN INSULATED SHIPPING BOX AND A 60 HOUR HEAT PACK(IF NEEDED) IN THE WINTER MONTHS AT NOT EXTRA CHARGE TO YOU. PLEASE NOTE THAT WHEN YOU ORDER LIVE FEEDERS FROM US YOUR RESPONSIBILITY EXCEPTING AN ORDER WITH OUR LIVE ARRIVAL GUARANTEE IS TO BE HOME TO HAND RECEIVE YOUR ORDER. CHECK OUT OUR NEW FEEDERS!!!!!!!! EX SMALL, SMALL,MED AND LARGE. 3 CUPS FOR $25.00 EACH CUP HAS 12 CTS (PLUS A FEW EXTRA FOR AS AN OVER COUNT.) 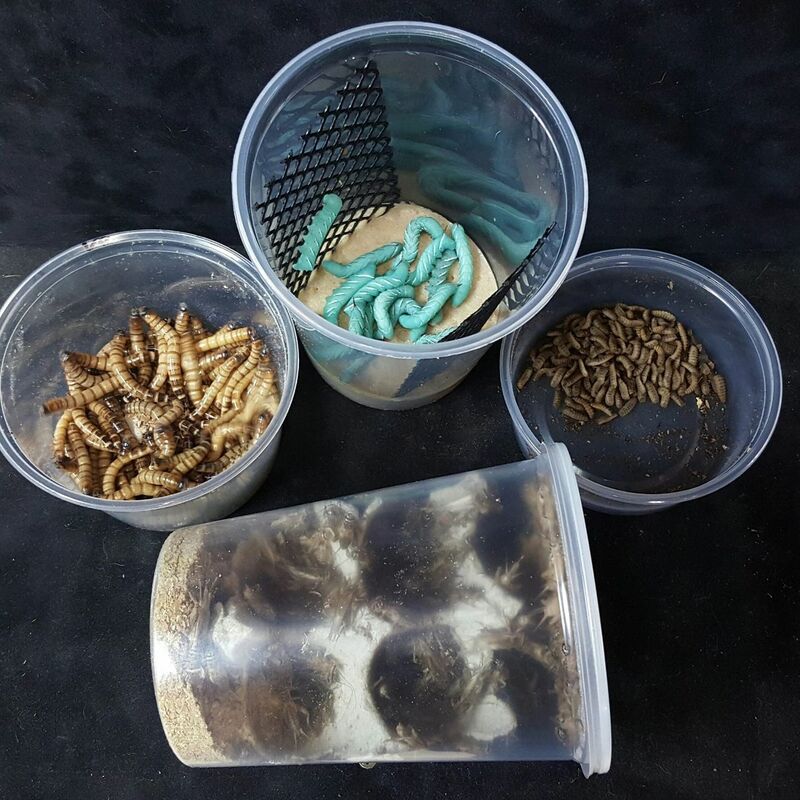 WITH ENOUGH FOOD TO RAISE THEM TO A LARGE SIZE(OUR HORN WORMS ARE SHIPPED SMALL AS THEY GROW VERY QUICK DURING SHIPPING BECAUSE OF THE WARM TEMPS DURING SHIPPING. Special note our $12.00 shipping is for up to 3 lbs of weight if you go over that weight with your order we will email you for the extra cost or the post office will charge you, orders that are over that weight and are notified of the extra charge will NOT be sent until extra is paid. Most of our feeders are under this 3 lb weight unless you order a multiple quantities on feeders. .
OUR SHIPPING TAKES BETWEEN 1-4 DAYS DEPENDING ON YOUR STATE, IF YOUR ORDER REQUIRES AN OVER THE WEEKEND STAY OR IF YOUR STATE TAKES MORE THEN 4 DAYS INCLUDING A WEEKEND TO GET TO YOU WE WILL CONTACT YOU WITH AN ALTERNATIVE SHIPPING METHOD. IF YOU CHOOSE NOT TO PAY THE EXTRA SHIPPING WE CAN NOT HONOR OUR LIVE GUARANTEE. Check Out Our New HOT NEW DEALS Page Now! Our Customer Appreciation Week is over. But Watch for more Customer Appreciation Sales in the future. Ever Try Eating The Same Thing Every Day? TRY OUR ALL NEW $5.50 Deals... And Give Your Pet Something New To Snack On..
Make Your Own Vale Pack, Or Add Them To Your Next Order. And Get Something New To Try Today..
"THEY ARE ALSO ONLY SOLD AS FOOD"
special note: check above at the top of the page to see if silk worms are available, if we are out of the size you need we will substituted at larger quantity of the smaller size to equal your order and we will give you extra food to raise them as a courtesy to you . WE HAVE ZEBRA SILK WORMS!!!!!! (NOT ALL ZEBRA STRAINS ARE STRIPED)( THIS IS A STRONGER STRAIN WITH VIRTUALLY NO BACTRIA ISSUES, AS WITH THE WHITE STRAIN IN RECENT YEARS...) THEY ARE A GREAT FEEDER IF YOU WANT TO RE HYDRATE AND HELP FIGHT METABOLIC BONE DISEASE ALONG WITH THEM BEING A GREAT FOOD SOURCE FOR ANY OF YOUR PICKIEST EATERS AND THEY ARE HIGH IN CALCIUM, PROTEIN AND FAT. 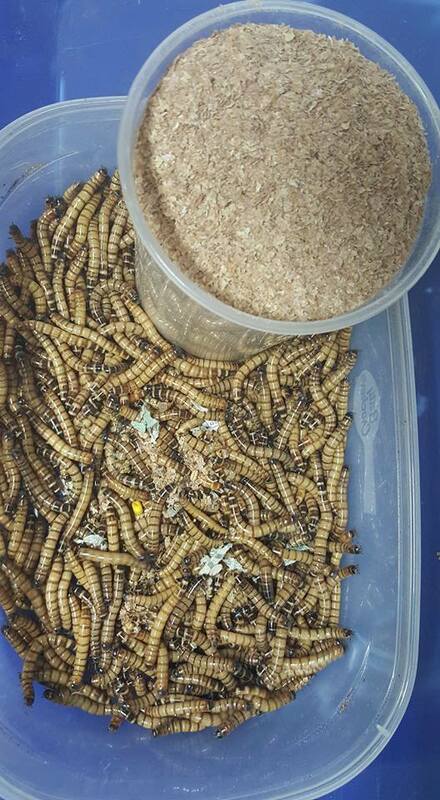 SILK WORMS SHOULD ALSO BE FED AND CLEANED DAILY, IF YOU ARE LOOKING FOR RAPID GROWTH FEED TWICE A DAY, ONCE IN THE MORNING AND ONCE AT NIGHT AND THEY WILL ALSO THEN NEED TO BE CLEANED TWICE ALSO. 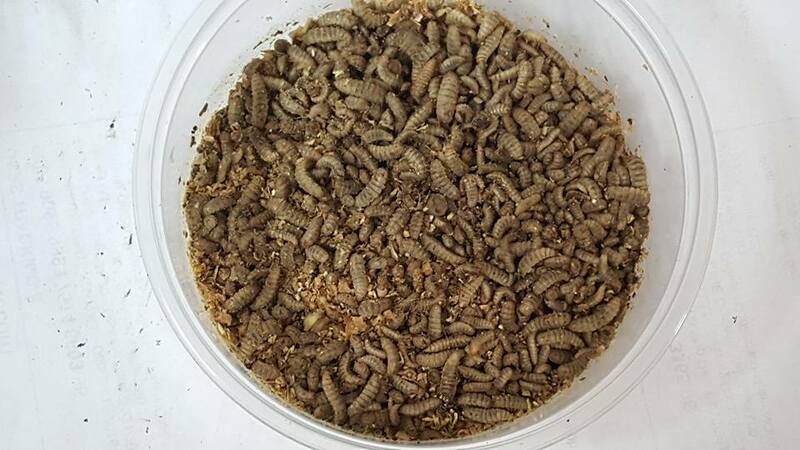 LASTLY SILK WORMS WILL EAT A LOT OF FOOD IF YOU BUY OUR SILK WORMS WE SUGGEST THAT YOU ALSO PURCHASE THERE FOOD WHILE ORDERING THE SILK WORMS AS WE ONLY SHIP THE SILK WORMS WITH ENOUGH FOOD TO SHIP THEM TO YOU. WE RAISE OUR OWN SUPER WORMS NOW!!!! SO OUR PRICES HAVE GONE DOWN ON THEM AND WE BRING THAT TO YOU! 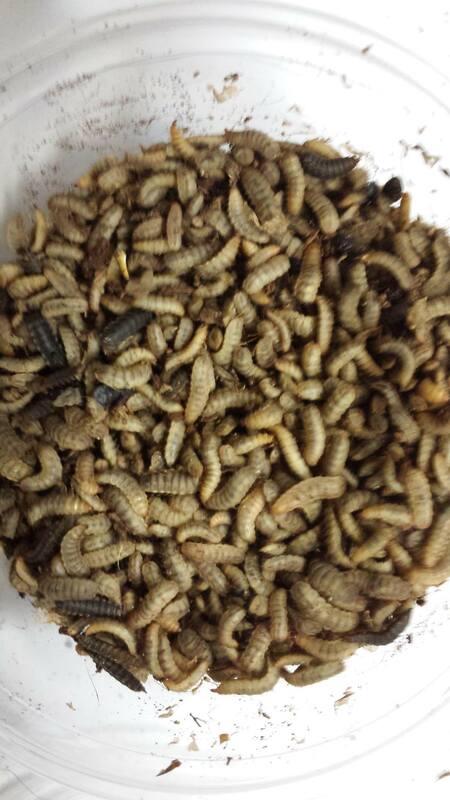 OUR SUPER WORMS (ZOPHOBAS MORIO) 1,000 COUNTS ARE 1"- 2", ARE FARM RAISED, THEY ARE A GREAT FEEDER , HIGH IN MOISTURE ,CALCIUM, PROTEIN, FAT AND FIBER. ALSO VERY IMPORTANT!!!!!!! 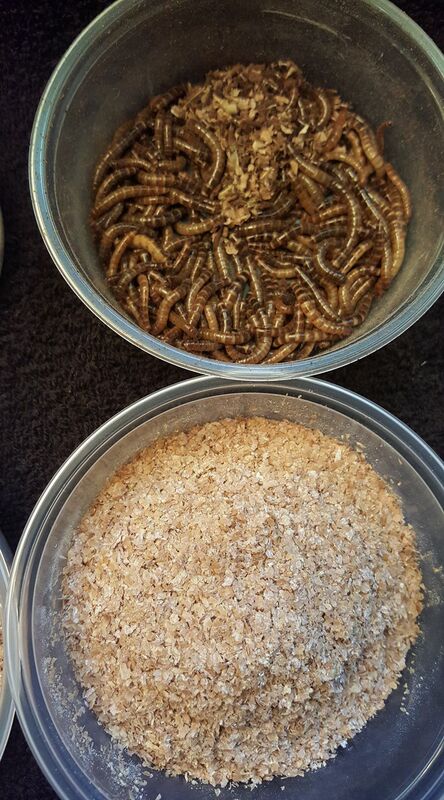 "DON'T REFRIGERATE SUPER WORMS, AS THEY ARE TROPICAL"
MEAL WORMS (Tenebrio Monitor Or Regular Meal Worms) ARE FARM RAISED, 1/2"-1" WORMS 1000 COUNTS. THEY ARE A GREAT SOURCE OF PROTEIN AND A GREAT FOOD SOURCE FOR YOUR ANIMALS. moisture 61.4%,protein 20.0%, fat 14.3%, ash 1.3%, other 5.2%. Hi everyone just a special note!!! we pack MOST our feeders in food, but just enough to ship them to you if you would like to buy additional food for your feeders you can purchase it along with your order :) Thanks, Linda. 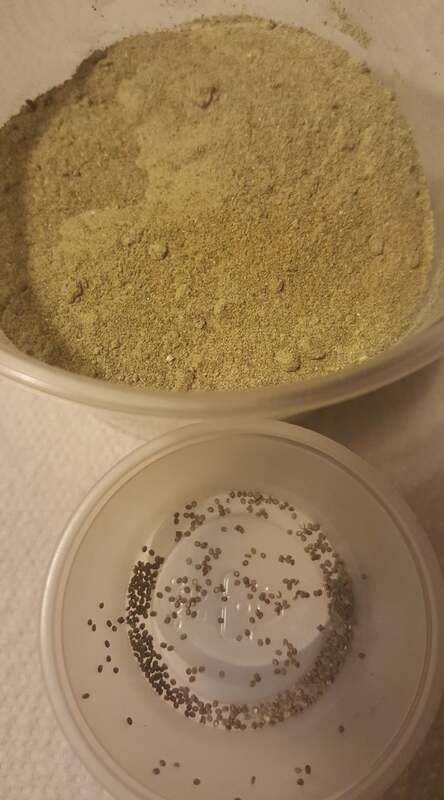 ONCE YOU GET YOUR BLUE BOTTLE FLY SPIKES YOU NEED TO STORE THEM IN THE REFRIGERATOR THEY WILL STORE LIKE THIS FOR 3 WEEKS IF ANY TURN BLACK OR BRICK RED IN COLOR WITH A HARD SHELL DON'T WORRY THEY ARE NOT DEAD THEY ARE JUST GETTING REALY TO PUPATE INTO THE FLY WHICH IS ALSO AN EDIBLE STAGE OF THE SPIKE. WHAT IS THAT? I DON'T KNOW BUT IT'S GOOD! 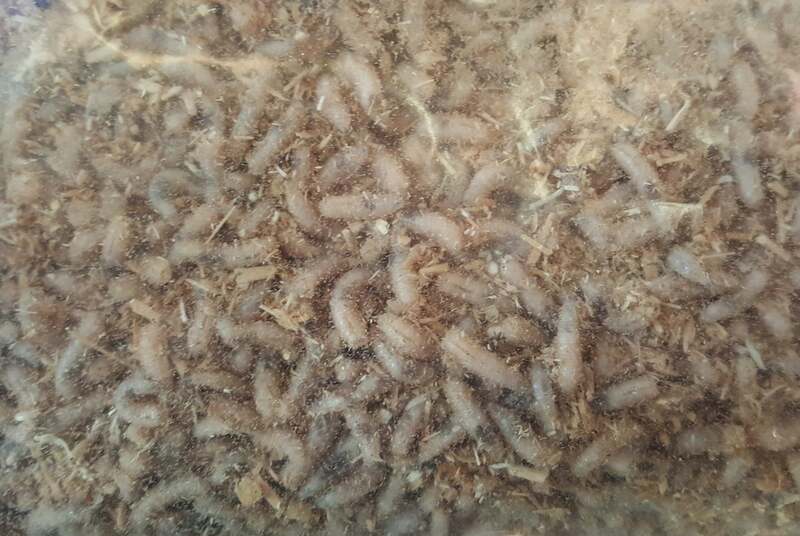 we recommend temperature is 80-85 degrees, crickets are a source of protein and when gut loaded properly offer many other nutritional benefits to reptiles.